As a lead up to Sustainable Brands conference SB’18 , students, alumni, and faculty of our MA in Sustainable Design program interviewed selected speakers — leaders in corporate sustainability initiatives. 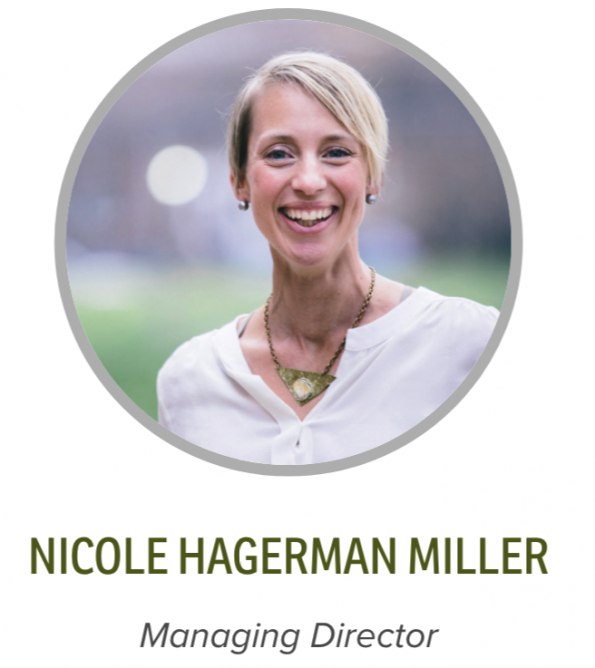 In this blog we share our interview with Nicole Hagerman Miller, Managing Director of B3.8. Nicole, what did you talk about at SB’18? I’I gave a snapshot of the Factory as Forest project we’re piloting with Interface, followed by a workshop where participants could learn more about the vision, process and practice of creating generous companies. In the workshop we also shared our basic assessment tool so people can look at their net zero strategies and see if/how they can be “generous” – moving beyond doing “less bad” to generating good. The goal here is for people to see how their efforts can become more holistic in achieving (beyond) sustainability goals. Using biomimicry as tool for companies that are wanting and willing to go further in their sustainability journey. Looking at how nature can really help us with examples, references and knowledge to design an organization that is healthy for it’s employees, those it serves and the planet. I’m also excited about using metrics based approach for measuring building and facility performance. Using these metrics we can set aspirational goals for site development that actually deliver ecosystem services– that’s huge! We’ve always assumed that development is bad. Now we can set goals for development to be positive. That’s a profound shift! It was through sourcing. I was first introduced to sourcing at Overstock.com. I joined the company at the height of the dot-com bust, when Overstock.com was scooping up excess stock. We grew really fast and needed to start producing our own goods and developing their own supply chains. Naturally like a lot of people in sourcing my role included overseeing the environmental and social compliance with global suppliers. When I started, I was 100% naive about what goes into making a given product. Once I started understanding all the impacts up and down the supply chain, I was overwhelmed. I could see that the changes I would implement had minimal impact in the larger process and systems designed for regular consumption. I could see that we needed a smarter way to design and manufacture, and that we had a lot of work to do to educate consumers. This became my passion. Biomimicry recognizes that these smarter ways already exist, embedded in strategies developed over 3.8 billion years. I would tell my 20-year-old self to have confidence enough to trust your gut, your intuition. 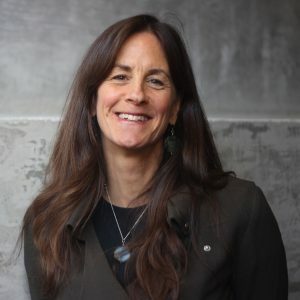 Being able to connect people who care about sustainability to a place of hope, helping them realize that strategies exist to design better. What’s exciting is that moment when people realize that. My biggest win is witnessing that aha moment for them, reconnecting them to something they love, and then learning from that. That moment is such a sustainability win. They will now be thinking differently, and purchasing and leading differently. That can have a huge impact for sustainability. I truly believe that if people knew the full impacts of their purchases, what they consume and the brands they support, they would make smarter decisions. I wish there was full transparency of all negative externalities of all purchases, what went into making that product. The flip part of that is I would create systems that support long-term thinking and actions. We’re stuck in short-term, quarterly-mind sets and decision-making structures. “The magic wand is the awareness is that everything is connected.